The Māori Futures Collective (also known as Tokona Te Raki) is a Ngāi Tahu-led organisation that enters into collaborations aimed at increasing Māori participation, success and progression in education and employment outcomes. 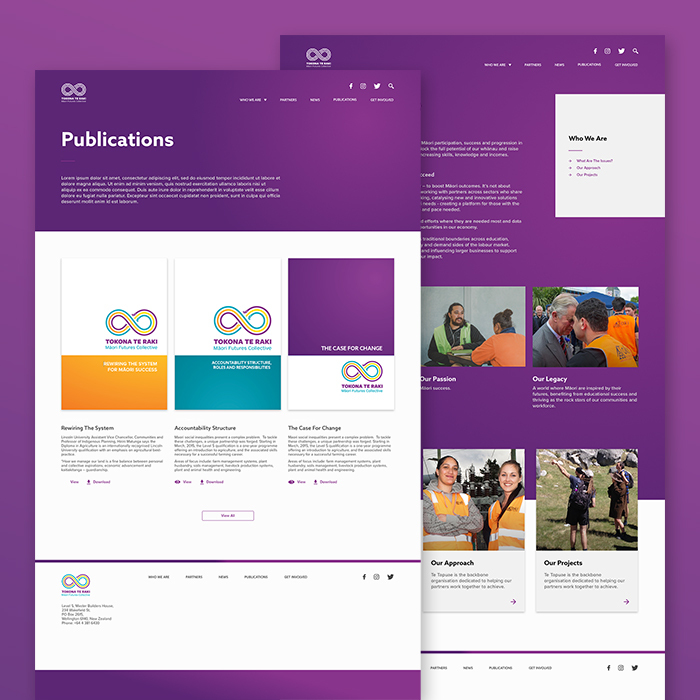 Tokona Te Raki needed a website to convey how they can facilitate these outcomes, and they hired Ariki Creative for the build while I was a contracted designer there. 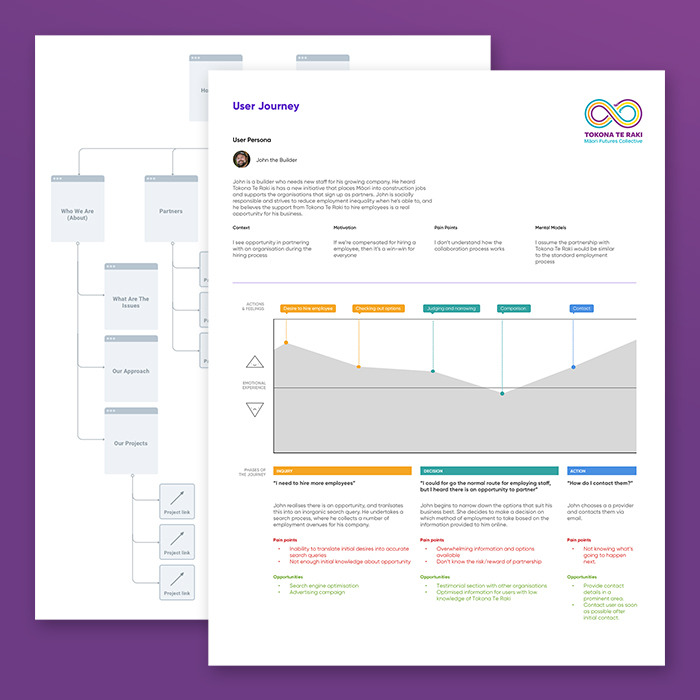 The organisation had previously identified their users as corporates who they would like to collaborate with on behalf of Ngai Tahu, so I created a simple user persona and journey based off that information in order to give the agency some insight into the goals of a corporate user. 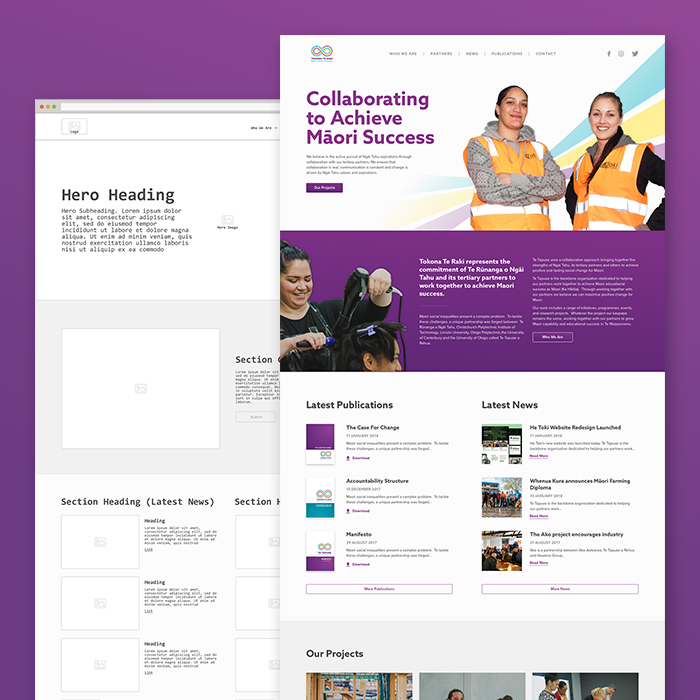 That insight helped us to create a site map, wireframe and early concepts with the goal of maximising the ease of access to information on how Tokona Te Raki collaborates, and also how to contact them regarding collaboration. The collective already had a strong brand theme, so I designed the website by utilising the bold colours and clean layout/typography in place in order to enhance the bold and futuristic concept. Once the mockups had been approved, I built the broad layout of the website. I then passed the website off to development team at Ariki to finish, keeping in touch just in case they required any extra designs or explanations.